"Musette Caffè is a bike friendly espresso bar. Everyone is welcomed, from the coffee connoisseur to the fuss ball champion or just to preview the latest cycling race and feel at home." 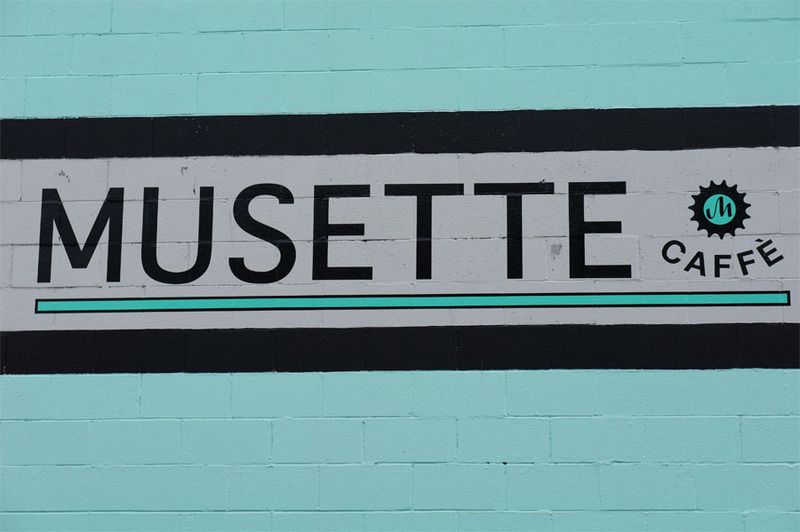 Musette Caffè is the result of owner Thomas Eleizegui's passion for cycling and coffee and where it intersects with helping to build the cycling community in Vancouver. 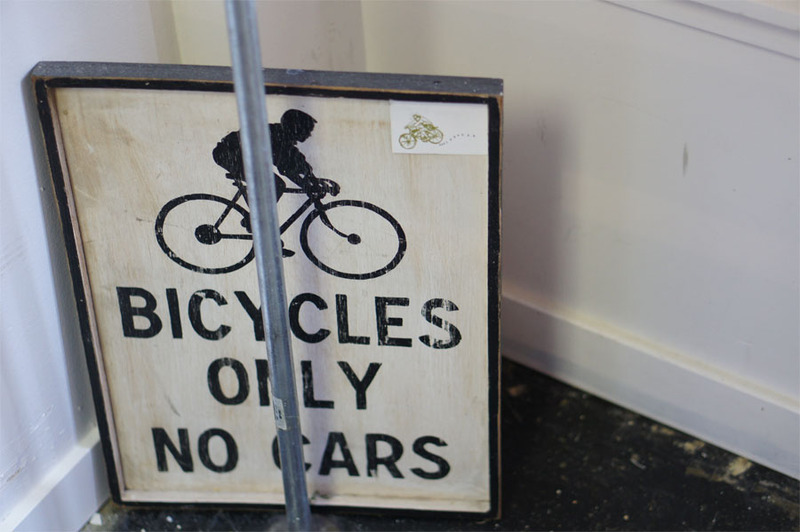 Located in the back lane off of the Jim Pattison Toyota Downtown lot on Burrard, the cafe features an extensive collection of Thomas' cycling memorabilia that he has collected over the years. The name of the cafe comes from the small cotton bags that line the walls that are used to quickly supply food and liquids to cyclists during races. The coffee is from 49th Parallel Roasters. You can either have a cup of drip brew or espresso drinks prepared on their custom painted La Marzocco. They also have a selection of sandwiches and baked goods. As a cycling cafe, Musette also regularly hosts viewing parties for different cycling competitions. You can also join in with other customers on weekly group rides for beginners to more advanced riders. Check their Twitter feed for the latest updates. "Knowing that it sits on ground zero of the upcoming Burrard Gateway mega-development, Eleizegui signed a sweetheart three-year lease and fitted out the café’s interior with fixtures that can be taken to its next location when the time comes." Opened on March 1st, 2012. "Bianchi bicycles are traditionally painted Celeste (pronounced che-les-te in Italian, Se-lest in English), a turquoise also known as Bianchi Green, (and sometimes, incorrectly Tiffany Blue, a copyrighted colour)." The 49th Parallel branded cups used in the cafe are coincidentally a similar shade of teal. The space includes a set of Tolix Model A. The chairs were created by French metalworker Xavier Pauchard in 1934 to make use of galvanized steel in the production of furniture. 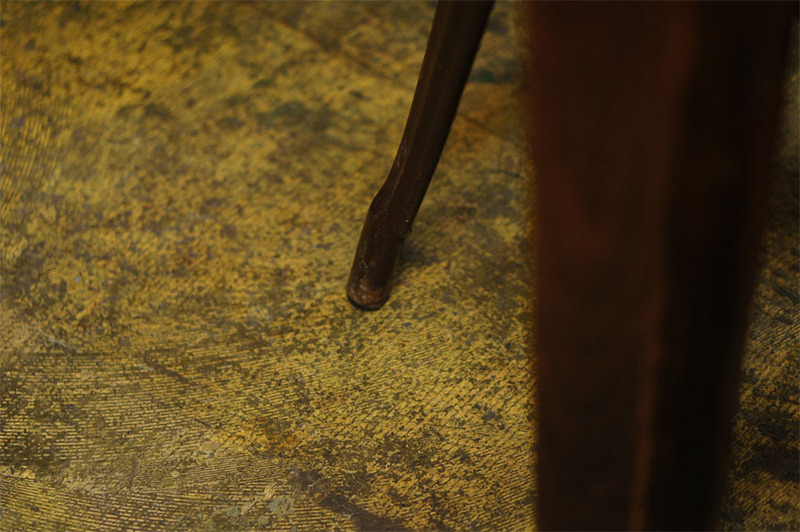 The chairs are still in production in the company's hometown of Autun, France and you can of course find knockoffs. You can also find these chairs at Cafe Bica, Cafe Crema, Cafe Joie, Culprit Coffee, 49th Parallel Roasters' cafes and Cafe Medina. Located in the back lane off of the Jim Pattison Toyota Downtown lot. "As for the future at Musette Caffe, Eleizegui is coming up with ways that he can use the cafe to help give back to the sport by developing competitive cycling in Vancouver and educating youth about the dos and dont's of bike racing." "Two of Vancouver's biggest obsessions-coffee and cycling-have been combined for the first time with the launch of a new cafe tucked away in a back alley off Hornby Street."